WELCOME to the Wednesday blog – each week filled by Angler’s Mail. 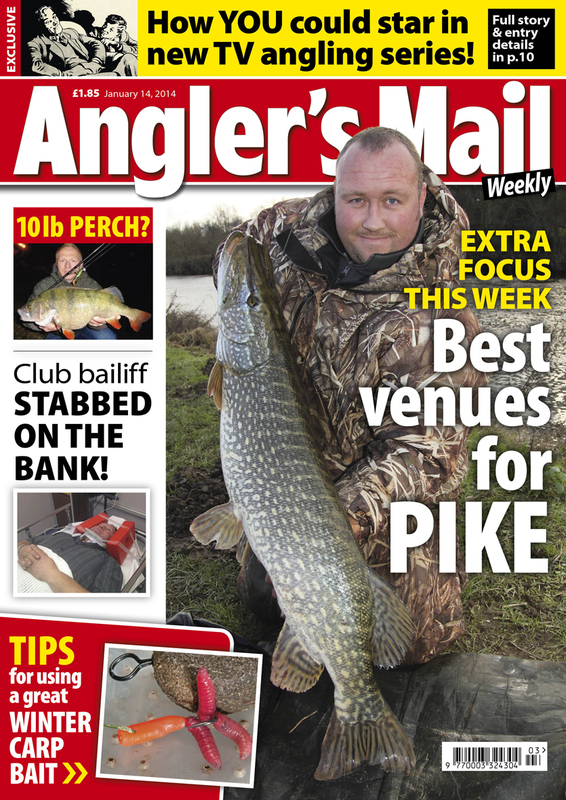 This week’s Angler’s Mail HQ blog is by assistant editor (production) Richard Holroyd. Share the blog by clicking the Facebook and Twitter icons above. WE all have our favourite species to fish for and for many anglers fishing for just one species is a lifetime obsession, but I think we should have a break from usual targets now and again and fish for, and value, other species too. I am reminded of the enjoyment of catching a variety of fish when I take my 11-year-old son, Louis, fishing. We targeted one of my favourite species, bass, during the summer using light tackle. We caught more eels than we did bass but he showed as much enthusiasm catching and handling eels as he did with bass. And when I take him coarse fishing, he’s just as happy catching roach of a few ounces than he is catching carp of a few pounds. I fished for bass last summer but when conditions weren’t favourable I didn’t fish at all. I should have changed tack and targeted other species. Most kids who go fishing share Louis’ exuberance of liking to catch all kinds of species of any size, and it serves us a reminder as to why we got into fishing in the first place. And I feel it is a shame that many anglers over time pigeon-hole themselves as being a one species angler and miss out on the pleasures that can be had by catching a variety of species. Normal practice when people (of all ages) first get into angling is to start on mixed fisheries and fish simple methods (float fished maggot for example) to attract all kinds of species. Today, though, I see more anglers bypass the important basics of angling and start out targeting bigger species, notably carp, with so-called specimen tactics. Big fish, particular carp, are popular and are thriving but with the heavy tactics and feeding regimes required to catch them, how much of the finer skills of our sport are becoming a dying art? Dace offer quality sport at this time of year. At this time of year, when fish on lots of waters are harder to tempt as their metabolism slows, it gives us an ideal opportunity to target other, often overlooked, species that are keener to feed. In this week’s issue of Angler’s Mail our Where To Fish London and South East experts, Bill and Virginia Rushmer, reveal the refined tactics needed to catch quality dace on a free stretch of river. They had some superb sport using just half a pint of maggots between them! In another excellent feature in this week’s magazine John Bailey takes us through the calendar year and suggests species that offer unrivalled sport when using a float to catch them. Float fishing requires a lot more skill than legering but it is a skill that all anglers should learn because, in many cases, it is a far more effective method at catching fish. To encourage and celebrate float caught fish, we are offering a monthly prize throughout 2014 consisting of some excellent hand-made floats. Get this week’s mag for more details. LIKE OF THE WEEK: mild winter temperatures. DISLIKE OF THE WEEK: a bailiff being stabbed by poachers. Full story in this week’s Angler’s Mail. VIDEO OF THE WEEK: A rudd plays dead to avoid being attacked by a pike.